Graham is a Reader in Social Policy, which combines undergraduate teaching, PhD supervision and research in roughly equal proportions. In addition, he is Research Co-ordinator for the Division of Social Work and Professional Practice, and serves on the Research Degrees Committee and Research Ethics Committee for the College of Business, Law and Social Sciences. His current undergraduate teaching is limited to an introductory module in Social Policy and a co-ordinating role in a final year Dissertation module. However, in the past, Graham's teaching has encompassed a specialist interest in social exclusion, as well as more general modules on the policy process, comparative social policy, theoretical social policy and the development of social work. He has supervised numerous dissertations at Masters level, mainly from the MSc in Social Research Methods, where students have undertaken studies in aspects of homelessness. His experience in doctoral supervision has grown through, for instance, two ESRC funded CASE studentships, and he is now able to share his experience by joining supervisory teams supervising students on a wide range of subjects. 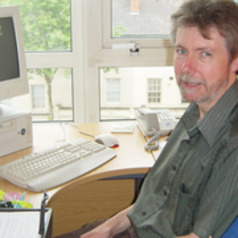 Graham has also maintained an active programme of research in recent years. In addition to PhD supervision, he has secured numerous contracts to evaluate local programmes in tackling social exclusion in its various dimensions, about which more is explained below. Graham's role as Divisional Research Co-ordinator entails enhancing the Division’s research profile, encouraging research activity among colleagues and producing and helping to implement a Divisional Research Strategy. His role on the two College Committees has been largely about acting as a subject specialist for Social Policy, reviewing and supporting the progress of PhD students and ensuring that all research meets appropriate ethical standards.